The unbearable likeness of being in advertising. Let’s not call it advertising anymore. We are in the idea economy and the experience economy. big and small, ugly or beautiful, smart or corny. Even the ones that are not ours. As long as they make your customer’s day and life more interesting. 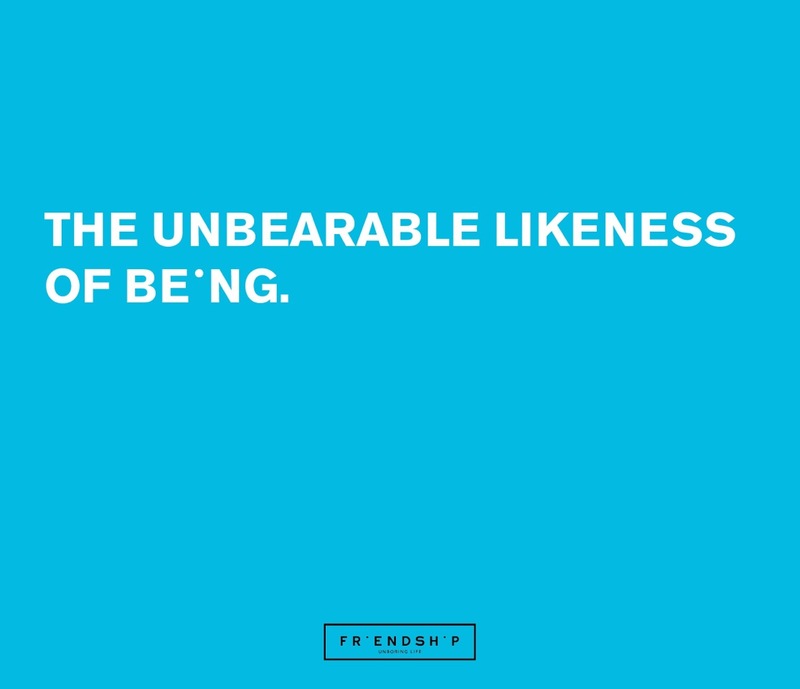 That’s why we strongly believe in brand likeability. Because if your customers like your brand, it’s the first step to loving it. Today, people hate advertising. Well deserved. Unless it’s relevant and it brightens their day. Then they like it. Go on, make our day.